Updated 2/3/09. Pho Hoa Pasteur holds a special place in my early teen heart and memory. 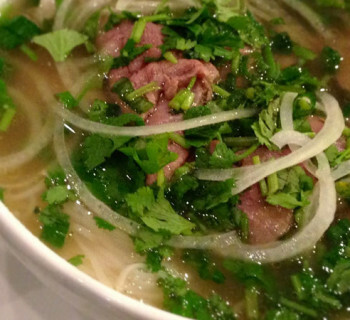 Not just because of its hearty bowls of pho. No. Not the Pho Hoa Pasteur you're thinking about. I'm talking about the original place in Saigon. I don't remember frequenting Pho Pasteur in Saigon all that much before leaving the country in 1975 - Pho Pasteur as I recall it, not Pho Hoa Pasteur. More importantly this place (and this street Pasteur) is special to me because I bicycled along this street everyday going to school in the early 70's. 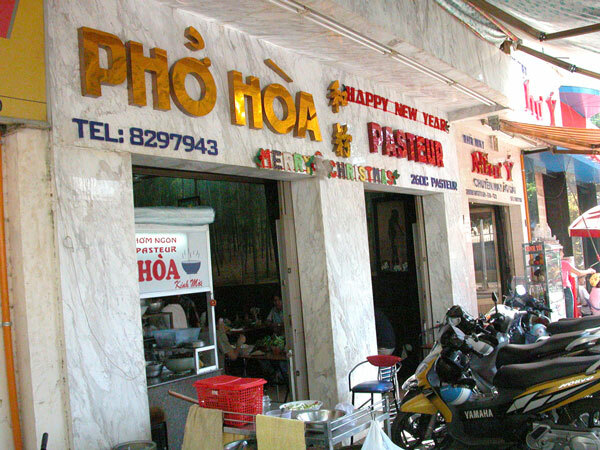 Located at 260C Pasteur, Pho Hoa Pasteur has changed quite a bit I'm sure, but I don't remember exactly what it was like. When you're in an environment for thousands of times, you tend to ignore it. But then I was always concentrating on getting to school on time. We take things for granted I guess. Any way when coming back in January 2008, I had to stop by and have a bowl of pho here. Afterward we went outside and I took this picture of the Pasteur Institute across the street. 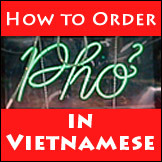 Pho Hoa Pasteur is the original place. I'm postulating this is why many restaurants in the US (and I'm sure elsewhere outside of Vietnam as well) are named some variations of Pho Hoa Pasteur. The place was that well-known and popular. 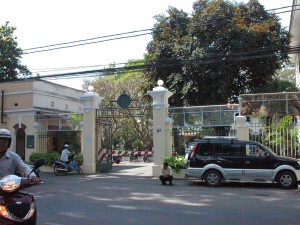 For the hard-core (or the curious) fans who want to read more about Pho Hoa Pasteur, the Pasteur Institute across the street from it, and the history behind it, click over to read about "Street of Saigon: Pasteur", courtesy of SaigonToday.net. Pho tai, chin (beef: rare, well-done brisket), large size. Garnishes: extra points for fresh ngo gai (5/5) - Ngo gai galore! This is my favorite Pho place anywhere! I went there after a long, long trip by bus and train, sat my sorry self down next to a huge fish tank that seemed way out of place and ordered Pho Thai Nam Sach, which just seemed to amaze the half a dozen tots that were supposed to be slurping up their own noodles at the time. When the bowl made its impressive appearance, I bent over it and just inhaled the aroma, delicious! Then I tore 5 or 6 basil leaves off and was about to toss them in when an older gent caught my attention and mimed tearing them up and then tossing them in the bowl, he then copied my smelling gesture and raised his head with a look of bliss on his face. I laughed and tore my basil into small shreds and he was right, it added just a bit more aroma to an already delicious meal. He spoke vietnamese and French, and I spoke english and a bit of spanish, but we showed each other pictures of our families while his wife laughed and looked at my travel pictures. Great memories of a great restaurant. @ziv. Thanks for sharing your experience about Pho Hoa Pasteur. Love your story about connecting with the people too. When were you there? I truly don’t remember the fish bowl. Did they sit you on the first (street) floor maybe? Our group of 5 were taken all the way up to third floor which I think was for those who have more time to eat more leisurely. And it was air conditioned too. The street floor was more for the locals or those who can park their scooters, grab a quick bowl of pho, and be on their way, I think. Vietnamese fast food! Anyone tried Vietnamese Pho with clams. I was back to saigon for a short holidays and my friends brought me to this noodle place and I tried it. Wow, it was really good although not the authentic beef pho. Especially the spicy soup with pho and clams and there are other side dishes like clams with chilli and lemon grass. I got the name card but was informed by the waiters that they are moving in 2 weeks time. New address is at 52A Nguyen Binh Khiem, District 1. Try it. You will not be disappointed. 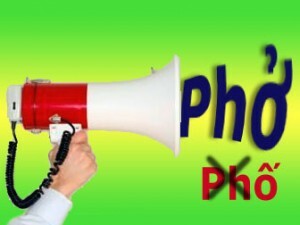 Hi Le Hoang Vy: Thanks for sharing the clam dish, though I suspect what you had was not necessarily pho. 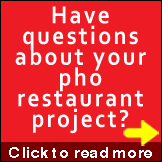 You’re probably talking about a hu tieu dish, which often uses the same square noodles as pho does. 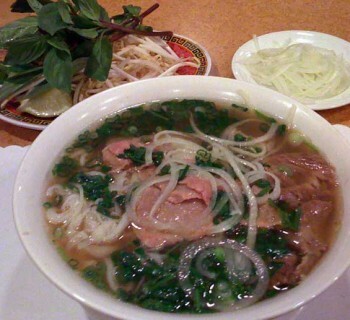 Nope, it was Pho but this pho is a thicker version which is the northern style. But the sate soup was good with it. Now of course chefs have their own right to make and call their creation anything they choose. 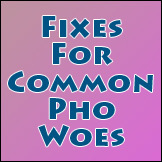 If the menu says something like “pho with clam” then I would understand that they deliberately make it a pho dish, what I call “creative” pho. Otherwise they may call the dish something else, with bánh phở being the noodle used in the dish. 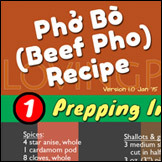 And the soup itself has to be prepared and taste a certain way to be called pho broth. I wouldn’t call sate soup a pho broth. 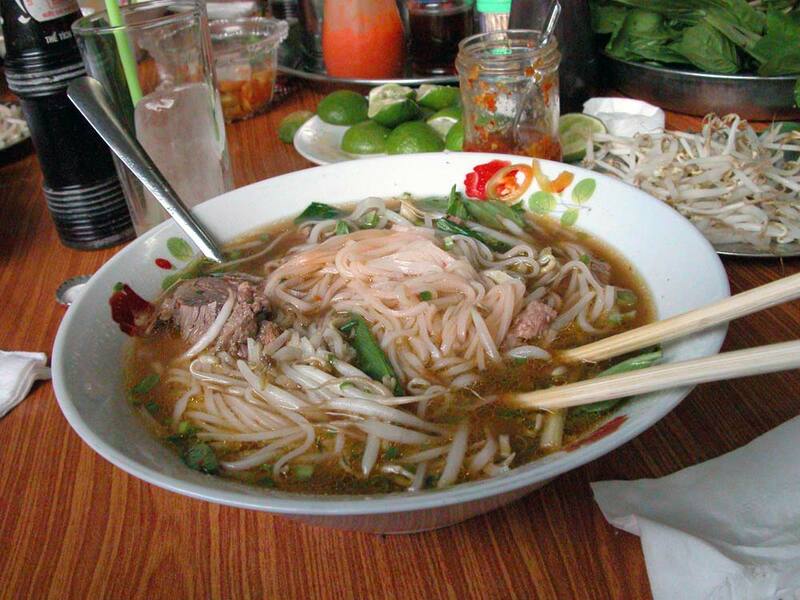 For me, “creative” pho outside of Viet Nam is sort of expected. 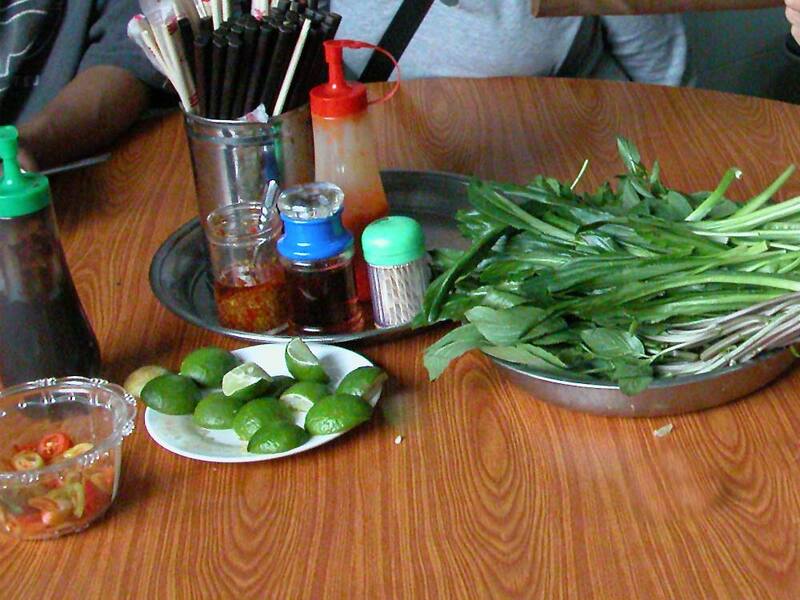 But “creative” pho within Viet Nam has always attracted my interest by the fact that the only way for those dishes to survive is to be acceptable by the locals. So as long as they have enough clientele to eat their new creation, then they can certainly continue to make it.